I don't write much about the work I do with Immanion Press on this blog. Indeed, as far as many of you know, I'm just one of its authors. But the truth is I'm not just an author of Immanion Press. I'm also the Managing Non-Fiction editor of Immanion Press. (Cue in the jokes about being a Hair club for men member). For me, Immanion Press is one of the vehicles by which I express my passion for writing and publishing and magic in the world. My service to Immanion Press is one of the ways I give back to the magical community and is also an offering to the magic itself. I am not paid a salary at Immanion Press. I get a small royalty for books I edit, but I don't get paid for the layout I do, or a lot of the other work I do and I am fine with that. My service to Immanion is a dedication of love to occult writing, occult authors, and to the magic itself. It is done because I want to publish books that I know will likely not see the light of day because other publishers are afraid to touch the books. It is done because I want to empower authors who have had bad experiences with other publishers, and show them that someone has their back. Indeed as I write this I reflect on an email a prospective author sent me on Thursday, telling me how validated she feels to have a publisher interested in her work who will respect her voice, who will edit the book, but not to commoditize it for the mass market. I like hearing that because to me a publisher has two clients: The Authors and the Readers. Too often, imo, most publishers focus on the latter and forget or neglect the former. 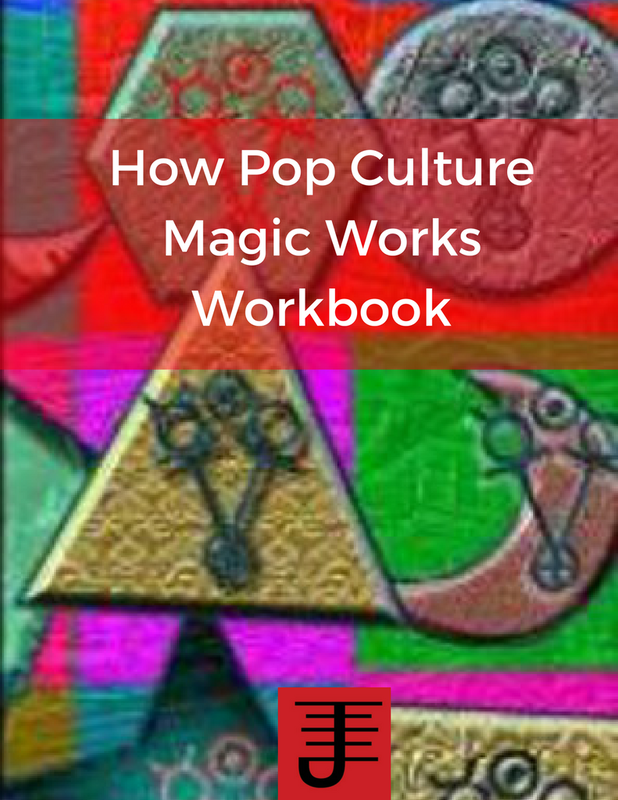 Way back in 2003, I had written Pop Culture Magick. I shopped the book to Weiser, New Falcon, and a couple other publishers. In some cases I didn't hear back from the publishers and in other cases, I got a rejection letter. I was told that my book was too niche and controversial. I was told that I shouldn't try to publish it because it wouldn't sell. So during a trip to England, I talked with Storm Constantine, owner of Immanion Press, and to this day a good friend of mine. I showed her my book and even though Immanion Press had originally been intended for Science Fiction and Fantasy books, she saw the potential in my book and agreed to publish it. In 2004, Pop Culture Magick was published and thus we started the non-fiction line of Immanion Press. It strikes me as ironic that NOW bigger publishers want to publish books on pop culture magic. I guess it's no longer so controversial, but in 2003, a decade ago, no one would touch my book. I doubt I'll ever really get the recognition I think is deserved for paving the way, but I know I paved the way. Not just with my books either, but with other books by other authors as well. Of course, I didn't do it alone. I had help over the years from the authors, from Storm, from Kat, and from other people and I am thankful to all of them to this day, because the nonfiction line for Immanion Press couldn't be what it is without the authors, editors, and volunteers who've offered time, blood, and sweat to make things happen. Immanion Press has always been a team effort, and so really it's that all of us paved the way to one extent or another. A couple of months after Pop Culture Magic was published, Nick Farrell emailed me and asked if Immanion Press would consider publishing his book Gathering the Magic. It's a book about magical group dynamics and big surprise, none of the bigger publishers wanted to publish it. So I asked Storm about it, and Immanion Press took it on. I was still just an author then, but as more authors found out about us, and discovered that we wanted to publish intermediate to advanced books on magic that were for niche markets and that no book was too controversial for us, Storm asked me if I would be willing to be the managing non-fiction editor. She respected my expertise as an occultist, and the way that I knew the market. I said yes and I began what has been and continues to be one of the most important callings of my life: I publish the books other publishers won't touch because I know there is a market and that those publishers are wrong. They don't get it...how can they, when what they are focused on is really the bottom line? And I get why they are...and they have a place, and the books they publish have a place, but even so, on a certain level they just don't get it, and they never will. They aren't publishing for the same reason and what they publish is for a larger market. They aren't going to publish the controversial books, the risky books because they don't want to alienate that larger market. But the truth is that anything that is published is bound to offend someone. It's not always about hitting the largest market possible. It's about reaching the right market...the right people and meeting their needs even if it isn't an automatic hit. It's about knowing the market, knowing the people, knowing what they want...and knowing that giving it to them does involve some risk, because you can't please everyone...and maybe you shouldn't. Working at Immanion Press hasn't always been easy. At one point I came very close to leaving, burned out, and fed up with how taken for granted I felt by everyone involved. And being a strong personality, I know I am not always easy to work with and that I've made a few mistakes along the way. But overall, I love the work I do at Immanion Press and over time the process has gotten easier. What people forget sometimes is that Immanion Press is a small press. We don't have a paid staff of editors, publicists, marketers, etc. We run on a tight budget and the people who work for us get paid in royalties. And yet they do it anyway, which I am so thankful for...because they believe in the vision of Immanion Press. They believe that what we are doing is important enough to support it. And despite not having what traditional publishers have, we make it work and we find ways to help our authors out. It's not a perfect system, far from it, and sometimes it doesn't work out as well as it could. But we make it work anyway. And I am proud of our authors and books. I am proud that I've played a role, however small it is, in helping authors launch their writing career and when I see that one of my authors got a book published by another publisher I feel good about it, because I know that getting published by us helped with that. We publish the controversial books, and we also bring books back into print and what we have available is awesome. We've published books on the subjects that the other publishers won't touch and we've played a role in getting conversations to happen. We've also told the authors that we want them to write in their voices and that we won't sanitize those voices. At the same time, we've insisted on academic standards of in-text citation and quotations, which readers tell me they love because they see it so rarely in the majority of books published on magic and paganism. At this last Pantheacon, two of my authors, Tony Mierzwicki and Crystal Blanton, told me in their respective ways how much they liked working with Immanion Press. Tony told me how he'd shopped his book Graeco-Egyptian Magic everywhere and was about to self-publish it when he remembered meeting me and decided to see if we'd publish his book. We said yes and he told me how getting his book published opened doors for him. He told me how much he appreciated a free marketing seminar I gave to the authors (and inspired me to start it up again for my authors). And I know that even if he never publishes another book with us, we played a role in his life and in his writing that he'll always remember. And that touched me so profoundly and I was so grateful for his appreciation and recognition of Immanion Press and my role in all of it. And at one point I was talking with Crystal and she abruptly stopped me and said, with much emotion, "Thank you" several times. And later she told me how much she appreciated my vision for Immanion and she said that she didn't think I knew what an impact I had on her community because of how I'd supported her as an author and as an editor of The Shades of Faith Anthology we published. And she's right I didn't know it, but that weekend gave me a glimpse...and later she acknowledged at a panel my role in the anthology and how I'd recognized I wasn't the right person to edit that anthology, and that I knew I needed to find someone who could do it justice. I was so touched by what she said, so honored that she felt I had contributed to her vision and work. And I've had other authors on occasions tell me similar things and I have always felt touched. To me that is the biggest payoff. I have helped authors reach their audience. I have respected their voices, their culture, their audience...I have done my job as a publisher and an editor and as a magician...I have believed in them and provided a platform to help them reach others who can believe in them as well. And I've continued to write my books and place them with Immanion. I'll admit I do find it frustrating when I go to Powells books and don't see my books on the shelves or the Barnes and Nobles because we use print on demand and because we don't take returns. Yet that frustration pales to the joy I feel writing my books my way...knowing my voice will be respected, knowing that the cover of the book will be the cover I pick. And I know I'm reaching my audience. I'm reaching the people who need my work and that is what is really important. I'm writing a book on Wealth Magic and I flirted with the idea of letting another publisher publish one of my books. I even sent a proposal in and then...I went to a panel held by the publisher and in that panel I heard everything that was an antithesis of my approach to publishing. They wanted trendy, marketable ideas. They wanted books that had cute titles and approached magic in a hip marketable manner that would hit the largest market possible. I left feeling sick to my stomach and I knew that none of my occult books will likely ever be published by a larger publisher. I simply can't imagine emasculating my vision and my words in that way just to make a buck. And I don't feel they will really get my vision or my approach or understand that I know the market better than they may know it. I know I'll write non-occult books (I'm starting one as soon as I finish the wealth magic book) and those books will go to more mainstream publishers, but my spiritual work, the work that touches the heart of the universe and speaks the language of magic...that work needs to be the way it is...not written for a general audience...not written to make a buck, but written to speak to the people who need it...written in my voice, written the way I want it to be written. And yes it means my books will always be with a small publisher. It means that I won't get some of the advantages that some of my other occult authors have. And I can live with that...because even though its a harder road to walk and there is more work on my end as an author, I've already been doing it for ten years, and I like how I feel about myself as a writer and as a magician. I don't say that to pass judgments on other authors. I recognize that many of the other occult authors have had awesome relationships with the publishers they've worked with. I just feel that for me I know where the home of my occult books are...and hopefully always will be. And that's Immanion Press. My press...my publisher and one of my loves. I love Immanion Press. I love what we stand for and I love that I serve the magic with the work I do for the press. That is more important than anything else. I serve the magic. I'm working on a few projects right now, and thought I would share what I'm working on, in terms of classes, books, and magical work. 1. Space/Time Weekend Class: I've already announced this class recently, but I'm really excited about it. I'll be taking the concepts and practices in Space/Time Magic and Magical Identity and showing people to turn them into a comprehensive system of magical practice and spirituality. This class will happen in March in Portland, though I am also open to teaching it elsewhere, under the right circumstances. 2. Magical Journal book: Also in March I'll be publishing my next book through Immanion Press, which will be a collection of all the blog entries on this blog from 2008 to 2012. It'll be quite a collection and I'm looking forward to having all the blog posts of this site available in print. 3. Wealth Magic Book: I am also writing a book on Wealth Magic and I'm currently putting a proposal together for a publisher. I'm not going with Immanion because this book has a broader audience. I'll give you more details when I know them. 4. Music Magic Experiment: I'm still doing experiments with music, specifically my voice and how it can be applied to magic. There's some fascinating works on the topic if you're willing to dig in and research. 5. Refinement of Tibetan Meditation practices: I'm learning more about some of the meditation practices I do and as a result I'm refining how I do them to take advantage of what I've learned. I've noticed some definite improvements because of the refinements. That's it for the moment. I have a couple other projects, but those are long term down the line projects, with research being done as opposed to anything active. Below is a list of Occult books that I consider essential for a magician's practice. Actually not all of the books are occult per se, but all of them offer something for the aspiring and experienced magician. I have not included any of my books here, because while I would argue they are essential reads, I wanted to focus on other people's works. This book has been foundational to my magical practice and is one I draw inspiration from even today. Gray explores magical concepts and practices in depth, while providing exercises and urging practitioners to experiment. 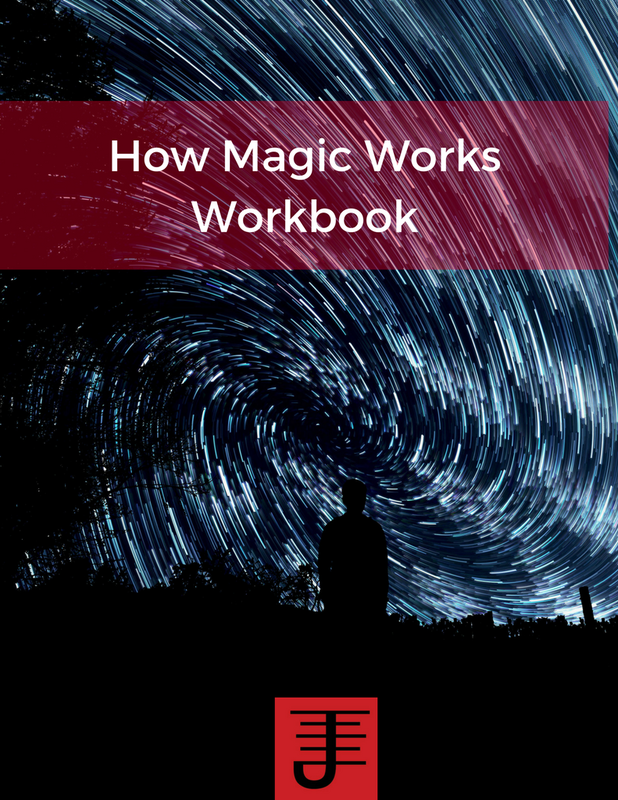 Another excellent practical book that walks you through a variety of magical processes while providing exercises to help you master those skills. It should be one of the first books a magician reads. This book does a good job of defining and describing how and why Magic works. While I don't agree with all the laws, I think its still a book any magician should read just to see how someone has developed a definition of magic through systematic work. Not an occult book, but a must read because it explores definitions and how people develop them. It's very useful for a magician to understand the power of definitions, both in terms of life and how they apply to magic. A Useful Exploration of Pathworking, hypnosis, and related techniques and how to use them for internal work and invocations. A Useful Encyclopedic reference book that comes in handy if you want to get a quick reference to an occult tool or system. A useful guide to the left hand path practices, as well as providing an intriguing essay on initiation that is a must read regardless of what path you are on. This is a book of Western Magical practices that also includes internal work as a part of its core practice. 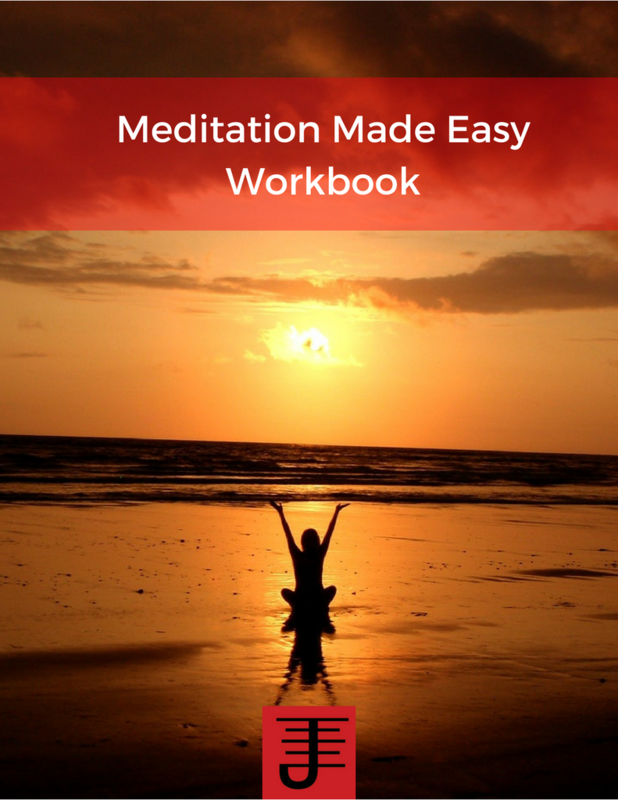 It explores a person's relationship to the world via spirituality and its exercises will definitely help you evolve. Another excellent book that builds off the concepts in Magical Ritual Methods, while also providing a different perspective to the core principles of magic. I could probably recommend many more books, but all of these are a good start for a beginning magician and recommended for more experienced ones as a way of helping you fully flesh out your practice in a comprehensive manner. This is a fascinating biography about a little known occult adept named A. R. Heaver who lived in England from 1900 to 1980. R.J. Stewart shares details of this person's life as well as his own encounters with him in the 1970's. He also discusses the Avalon sanctuary, and several other fascinating details. I enjoyed the book a lot because it provided some details about R.J's work in relationship to A. R. Heaver and proved to be fascinating in terms of learning a bit more occult history. If you are learning the Sphere of Art or other related work that RJ does this book is a must, and if you are a student of occult history, you will also want to pick up this book. What's one of your earliest influential occult books? Recently I was looking through my magical library and I came across two books by Ted Andrews, books I've had since I was 16 or 17. They were books I'd hidden away when I was 18 and told I had to burn my books or leave, because they were books that were essential to my practice at that time. I was using the exercises in them for my daily work and also to connect with the elemental spirits. And to this day those books are essential to my magical practice in terms of the information and experiences they first provided. While my magical practice has gone far afield, the principles I learned in this books still inform and guide my magical practice. The books are How to Meet and Work with Spirit Guides and Enchantment of the Faerie Realm. Perhaps what I liked best about the books then and even now is the balance between practical techniques and theoretical information. As I looked through both books the other night, I felt a smile appear on my face, rediscovering a sense of wonder I first felt when I began practicing magic. As a teenager these books were doorways to a better life than the one I was living in. They provided me a sense of empowerment, a feeling of control, and a sense that I could actively make a difference in my life by employing magic. I still feel that way, but holding those books and flipping through them brought a sense of nostalgia and happiness over the memories themselves. And flipping through them also provided inspiration for a working I did recently and am still engaged in currently, which I'll write about on Wednesday. It illustrated to me that going back through something you've kept for almost 20 years can still provided you surprises and realizations that you can work with. What was your earliest influential texts that changed your approach to magic? I've just finished first round editing of all the essays I received. I have about nine essays. I could use more and I have two people working on essays. If you would like to write an essay for Magic on the Edge 2.0, check this post out, and contact me. I am pleased with what I've gotten so far and I plan on publishing this anthology by fall of this year. Bill Whitcomb and I have a project we are working on, the title of which is marked in bold. It admittedly feel to the wayside while I worked on Magical Identity, but now that MI is finished I've started to focus more time on this project. I'll have more details in the future. Yes I am writing or rather researching for a book on wealth magic. I've got a decent outline and also some practical experiments that I'm currently running, which seem to bearing fruit as it were. I hope to finish the first draft of the first chapter by tax day of this year (how apropos). This hasn't been forgotten. In fact, I and another person are in the process of getting this website ready for a change that will practically support the ability to do a correspondence course. I already have some of the lessons for this course written and I have a better idea of how such a course should ideally work, so my plan is to fully manifest this course by Memorial Day Weekend. It will be the first of a number of courses on magic experiments ala Taylor Ellwood's style of doing magical experiments. I'm also engaged in a few experiments as well as regular workings. The regular workings include the year long invocation of the element of Fire (I post about that work once a month) and daily meditation practices. A weekly offering to Dragon has also been added to the mix. Experiments include working with Bune on my businesses (This is a long term working and it has worked marvelously with all three of my businesses). I'll be writing about this experiment in the wealth magic book in a lot of detail. Another experiment has involved improving healing work, with an eye toward exploring past life regression as part of the healing experiment. I've posted occasional updates and it is fascinating work. It also convinces me further that there needs to be an emotional component factored into healing (that and my internal work experiences). There's more in the works as it were, but I don't share anything until its the right time to share it. I am taking Jason's Strategic Sorcery course. It's proven to be an interesting course, in terms of getting a different perspective on how someone approaches magic. It reminds me of my traditional roots in magic (which is good) and I'm definitely getting a lot from the course. That's it for updates on current projects. Magical Identity is now available as an e-book through Smashwords. I'm working on the Kindle version and hope to have it available some time next week. The print version will also be available soon. We will hopefully be getting proofs in the next couple of days and once they are approved, it will be available in print. You can still pre-order the print version and take advantage of the pre-order special to get a free e-book from me. I'm really excited. 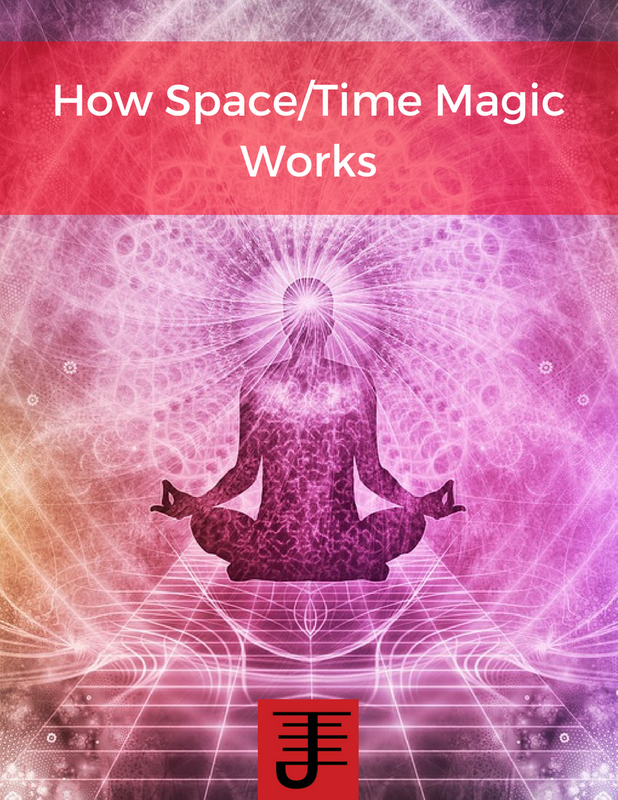 This book not only features my latest research and experimentation in Space/Time Magic and Inner Alchemy, but also the exploration of an ontological approach to magic. I've finished final revisions and I started layout last night on the print version of Magical Identity (It will also be available at Smashwords and on Kindle, but that will happen a bit down the line). If you haven't pre-ordered Magical Identity, now is a good time. From now until the book is in print, I will offer a free e-book of your choice from my other books, when you pre-order Magical Identity. This is a great opportunity to not only get my next book in print, but get another book for free. Once the book is in print, I won't offer this promotion. Advanced neuro-magic techniques for working with your body consciousness and neurotransmitter entities. The web of Time and Space, a space/time magic technique for changing your life. The key to successfully changing bad habits into positive habits. 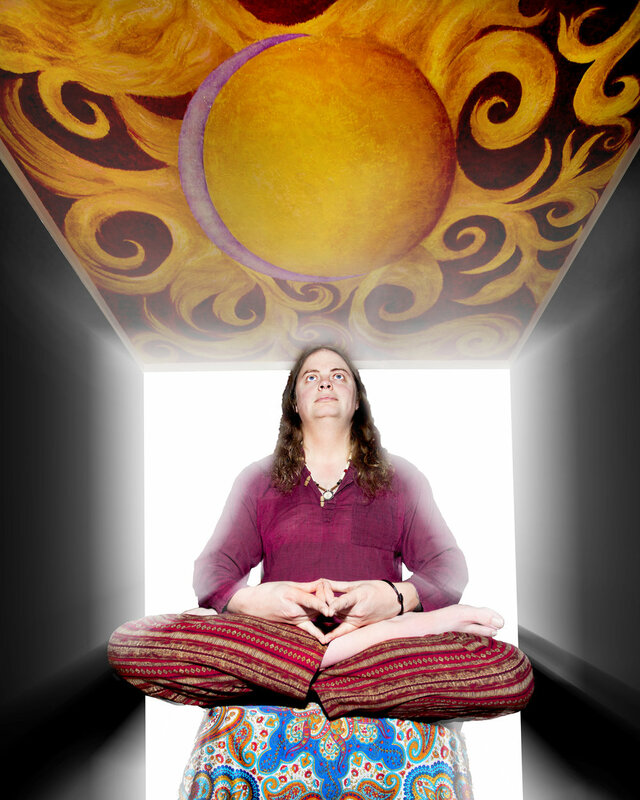 Magical Identity challenges you to take your magical practice to the next level. You will learn techniques that will change how you think of magic and yourself and will show you how to create effective change for your life. Here's what other authors are saying about Magical Identity! This book is now available for pre-orders. The book will be available in March 2012. The cost is $20.99, plus Shipping and Handling. Drumming the Spirit to Life” is about why people drum. Drumming has affected all cultures and is an indispensable tool for healing, joy, evolution, and community. Russell Buddy Helm’s drumming journey includes pictures and some simple explanations of technique without the need of musical training or paralyzing self-criticism. Rhythm is our old friend that we will always need for healing and to help us celebrate. We can’t help but develop an eager interest in drumming as a tool for personal growth and wisdom. There is humor and excitement in this type of drumming, and acceptance, regardless of the individual’s musical ability. Those already drumming can use this book as a reference for improvisation. There are no wrong notes. The Downbeat, a New Orleans jazz term, unites everyone in our common world grooves. Rhythm is our most ancient survival tool. There is encouragement for the beginner and also the advanced players. Scientific insights show how rhythm affects our minds and bodies, yet exists outside the intellect, residing in our hearts and our souls, always forgiving, ready to be played so share the groove! A video update on Neuro-Space/Time Magic and the Process of Magic books, as well as magical experiments in general. The title says it all, kind of. I'm now selling the entire line-up of esoteric non-fiction books published by Megalithica books, which is an imprint of Immanion Press. So what are some books by us that you might be interested in? Dancing With Spirits by Denny Sargent focuses on Shinto and Buddhist festivals in Japan, discussing the mythology and current day practice of those festivals. We've just published this book. Bridging the Gap by Crystal Blanton discusses what it takes to create a successful pagan community, as well as what can stop it from happening. Another recent publication by us. Ogam Weaving Word Wisdom by Erynn Rowan Laurie is one of our more popular titles. She explains what Ogam are and how to work with them from a Celtic Reconstructionist perspective. Women's Voices in Magic edited by Brandy Williams is one of our recent anthologies. It is an anthology of female magicians and their perspective on magic that they are doing and the magic culture as a whole. And many, many more books with topics ranging from cultural appropriation to chaos magic to pathworking to Ritual Magic, all written by very talented magicians. Check out the link to see a full list of books. On a personal note, I'm really happy to be selling all of these books again. The non-fiction line of books is something I've put a lot of work into as an editor and layout design person. Other people, including Lupa, my ex-wife have also contributed a lot of time and effort, but I was the one who started the line-up and although there's been occasions where I've felt a little burned out, its one of my callings in life to help publish and sell edgy, experimental, good occult books.